Took three days of clearing the room with the traitor in it to get this guy to spawn. 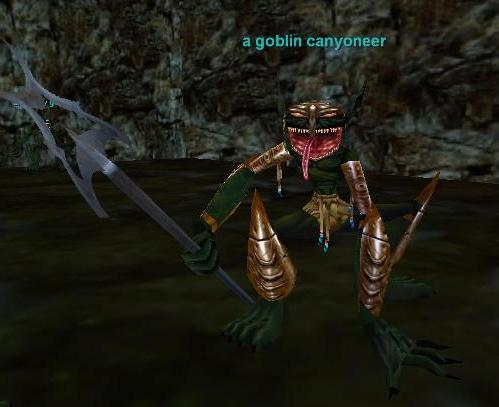 It spawns in FM in the goblin cave with the goblin traitor. Spawned inside same room as the traitor for me and dropped no-drop canyoneer pike. Any ideas as to where this mob spawns? How about what it has as PHs?